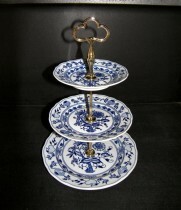 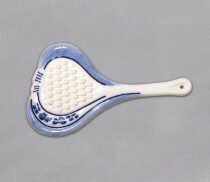 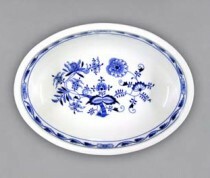 Onions are the most traditional porcelain in Bohemia and Slovakia, probably also in Germany. 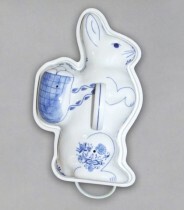 Richly decorated, a huge product line, usable in a dishwasher and microwave oven, meeting the demands of tradition and modern times, everything is a bulb. 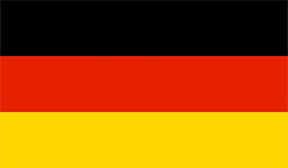 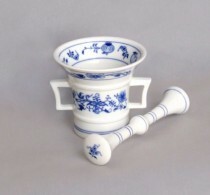 Onion bulb or onion began to be produced in Bohemia according to the Manufaktura model in Meissen. 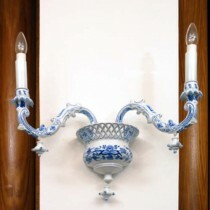 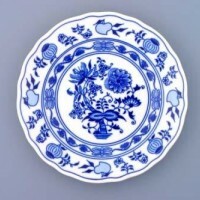 The popular name of bulb porcelain or onion was created according to the decor of this product, where the pomegranate apple is replaced with onions. 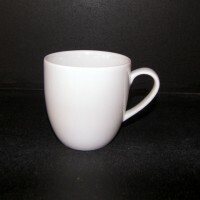 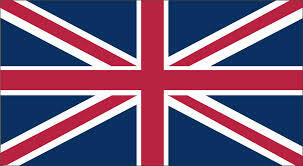 The current bulb can also be used in dishwashers and microwaves, making it a very elegant porcelain of everyday needs. 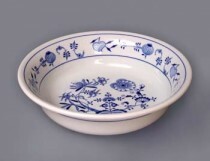 The onion is produced on a piece that is optimal for Czech cuisine. 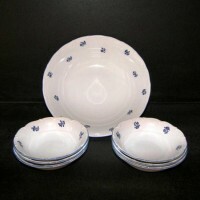 At the same time, onion, like porcelain, is very durable. 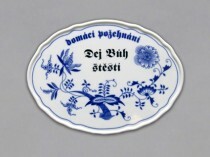 Very often, the term "Dubí" is used as the production takes place in Dubí u Teplice with the producer Český Porcelán Dubí. 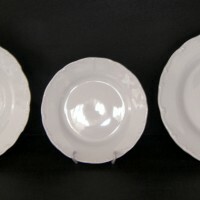 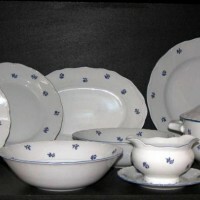 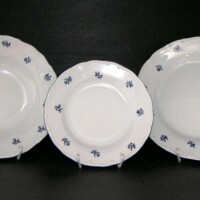 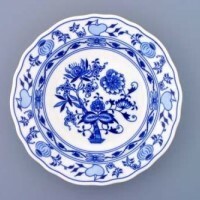 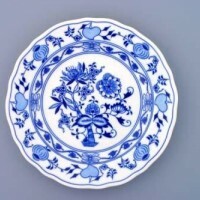 Cibulák Dubí is considered "original onion" in Bohemia and Slovakia, but this designation belongs to porcelain from Meissen. 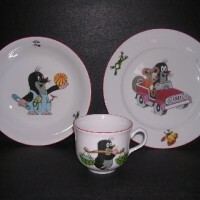 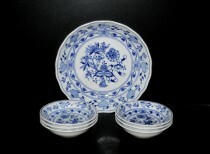 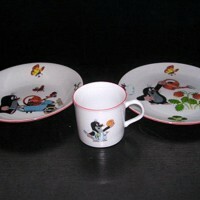 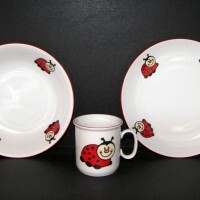 Český porcelán Onion pattern tableware original 18pcs. 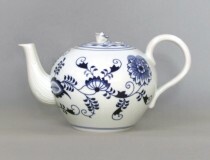 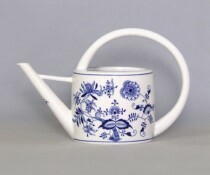 Český porcelán Tea Pots 2l. 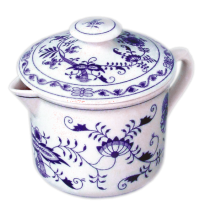 Český porcelán Pots Coffee 1.55 l.
Český porcelán Mug 0.65 l cooker Blue Onion nature. 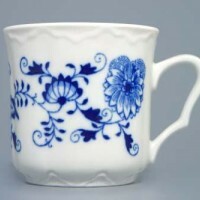 Český porcelán Mug Banak 0.3 l Blue Onion nature. 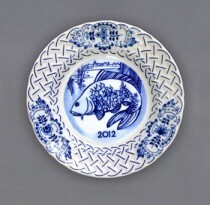 Český porcelán Hanging anniversary plate embossed 2012 18cm. 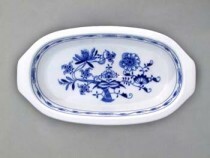 Český porcelán Baking dish with handles, 0.40 l.
Český porcelán Watering the garden. 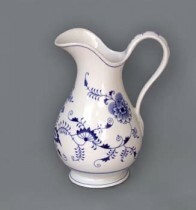 1.7 l.
Český porcelán Pitcher big 5l. 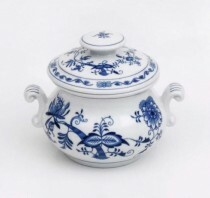 Český porcelán Baking cup with a lid and handles 0.5 l.
Český porcelán Washbasin 35x10 cm.